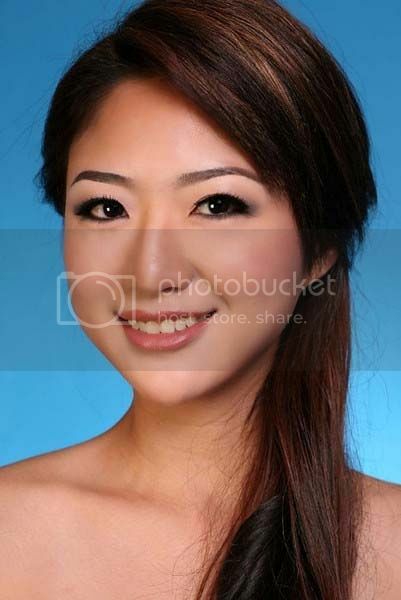 Notes: May Hsu is the reigning Miss World Singapore 2011. We pride our people in being the best “product”. Singapore comprises a large mixture of different races and customs. It allows us to be unique in our thinking and mindset for we are able to understand and empathise with others. Thus, we are versatile in our talent. To be a doctor and to be able to teach and provide healthcare to the less privileged. I prefer to laugh than to cry. Life is too short hence I choose to not be affected by the materialistic aspect but instead choose to focus on the priceless moments of life. Seek for the solution instead of the problem. It takes a bigger man to find the solution than to fuss over the things that cannot be undone. I believe books are food for the mind. It would be for my netball team. We managed to oust the hot favourites out by reducing errors on our side and fighting hard to the very last minute. To have a team of twelve thinking alike and equally motivated is not an easy feat. I enjoy taking long walks. I love sports – the most extreme period was when I was training an average of 4 hours a day. When I am fit, I feel good.